Each year Alcatel designs a plethora of affordable devices and most of them become available as carrier-exclusives around the world. The Pixi series has been quite popular among the budged devices, as those phones have been fully subsidized by the operators. And while you may not be seeing Alcatel in most of the retail stores, its phones are out there offering Android experience on affordable prices. This year Alcatel decided to offer the users even more choices and in addition to the new Pixi 4 lineup, Alcatel expanded its device portfolio with new Windows 10 phones and slates. You bet they come with attractive price tags and target the mainstream users. So, at CES 2016 Alcatel brought four Pixi 4 Android devices of different sizes - 3.5", 4", 6", and 7". We also got the Pixi 3 8" Windows slate, a kid's smartwatch. Alcatel also showcased the Fierce XL Windows 10 smartphone, exclusive to T-Mobile, as well as the water-proof Go Play smartphone also known as Conquest for Boost Mobile. 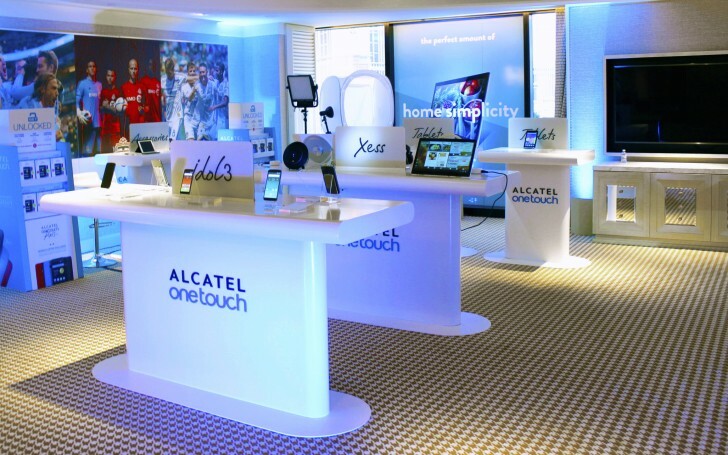 Without further ado, we go live with our hands-on impressions from Alcatel's booth tour. I will not get another its slow I just find too many frustrating factors with this phone ,but its too late to take it back so im stuck with it for the time being.Sorry Alcatel you need to do better. looks promising. will have to give one a go as im a windows fanatic oo yeah! get rid of my acer tablet.